'Wop' Stears is an agent for the CIA. Born of a moderately wealthy Bostonian father and the "wayward" daughter of an Italian count, Giovanni Sidgewick Stears, had a somewhat confused upbringing. His father had been an up-and-coming poet before WWII but his pro-fascist leanings quickly became deadly at the start of the war. The family fled to Switzerland where Stears was raised seeing his father ostracized. Much of the family wealth left home. Enough remained to send him to the better schools in England and then in America, where he earned the nickname of Wop because of his first name, a nickname he was to keep throughout his life. Afterward, he began a career in finance and proved very, very good at it. After a time, he opened his own investment consultancy above a prestigious bank in Geneva. His interesting name presented an intriguing opportunity. The Stears of Boston were a financial force in America and as such often listened to by foreigners but not necessarily sought for handling money by them. With his first name, though, Stears was able to project a much more cosmopolitan air, one that could work well on the French and Italian Rivieras as easily as it did in the more stolid rooms in Geneva and Zurich. Eventually he became a frequent adviser to oil-rich Arabs in need of financial assistance. He thought once that while there were fifty thousand advisers in New England who could read a ticker tape with ease, there were perhaps five who could read an Arab's face. He was one of those five and with his financial acumen and his understanding of the global economy, he was one that they trusted to handle the money they preferred not to leave at home. At one point in his rise, he came to the attention of the CIA, being a moderately important American living in Europe. He agreed to help in a matter and over time that assistance grew until he became a valued member of the European department, valued for his knowledge of the players. Though his advise is not always heeded by those whose agendas go in a different direction, he is still a valuable man to have around. He is also an intensely curious man and that curiosity gets him into trouble on more than one occasion. When several clients of Stears begin to move their holdings out of the North African region, Wop Stears knows something is up. 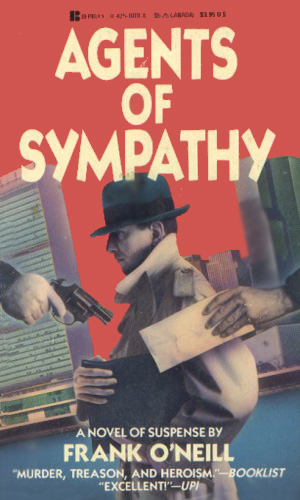 Investigating leads him into a fight between the CIA and the KGB with the PLO playing everybody against each other. The mission is to assist an East German military officer in sabotage behind the Iron Curtain and then to help the man escape to the West. Complicating things is the arrival of a woman that Wop Stears is determined to keep safe. 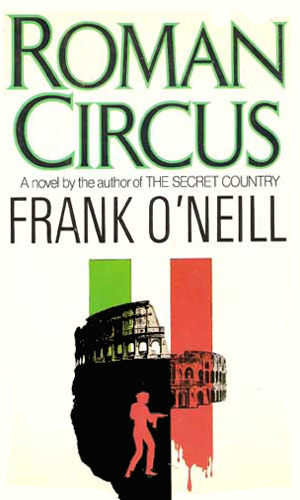 Wop Stears returns to Rome, his boyhood home, to help out in a fight against terrorists who have already kidnapped and killed an American army general. The mission requires him to reunite with an old love who almost got him killed once before. 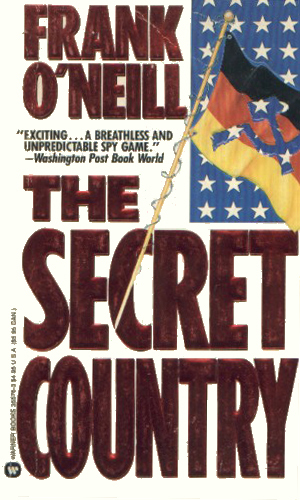 Mr. O'Neill's ability to mix finance with espionage is quite good. While the economics do not play a vital role, they are interesting and do lead to other events. His writing is solid and entertaining, spending the right amount of time explaining the scene to properly set the atmosphere. The problems of the very rich are revealed in an amusing manner in that Stears is honest enough with himself to recognize that to many of the movers and shakers money is does not mean food and lodging and clothing – it means power.